IEC 60947-2 has been around a while. Originally called IEC 947-2, it got its current name way back in 1997. So, you may wonder, why talk about it now? Let’s say a timely reminder is about due. Electrical distribution has become an ever more important part of our daily lives. More and more people worldwide are enjoying comfortable, device-driven lifestyles, while business and industry in developed and developing economies are dependent on ICT and always available power. And if electrical distribution pervades every aspect of work, play, and travel, so, too, do circuit breakers. 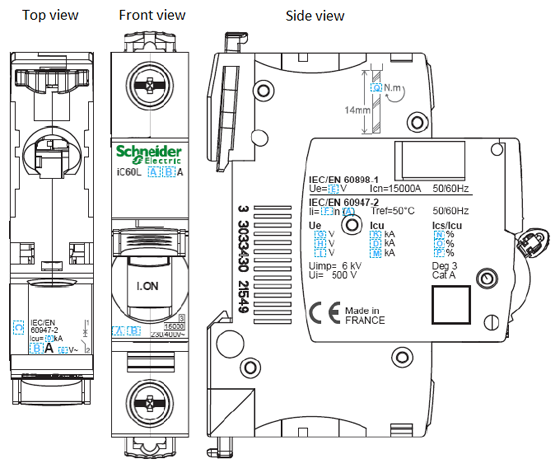 But not all circuit breakers qualitatively comply with IEC 60947. And in fact, today’s deregulated, fast-changing global market is flooded with billions that don’t. That spells trouble for end-users – both domestic and industrial. Certified, conformity-assessed, standard-compliant devices last decades. circuit breakers in switchboards operate for 10 to 15 years at a time, for example. Low-price, substandard – rather, standardless! – circuit breakers may work for a while. But not much longer. When – rather than if – they fail, the cost may be high. Money, time and – above all – lives may be lost. Lest we forget: the circuit breaker affords essential protection against short-circuits and overcurrent. They prevent fire. In fact, I like to call circuit breakers the basic building block of electrical protection. Of course, some countries also require other kinds of mandatory safety devices. Devices that prevent and protect against earth leakage, electrocution, and the damage caused by surges. 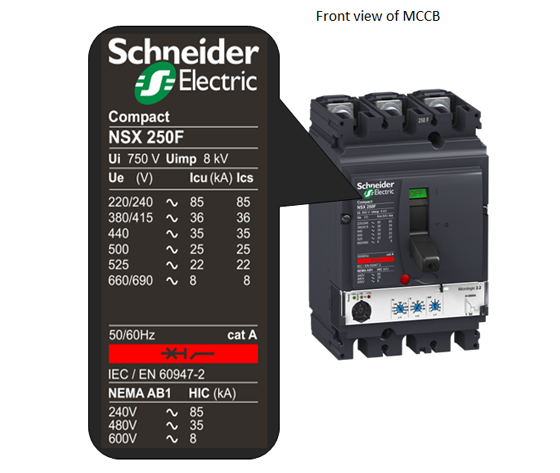 Compounding the problem of the market flooded with substandard circuit breakers is one of ignorance of, and even disregard for, the humble circuit breaker. End users may be forgiven for not caring too much about the technical niceties of circuit breakers. I admit, it’s not their concern even though it might eventually become their problem. Design engineers and general contractors, however, should have in-depth knowledge of circuit breakers and standard IEC 60947 2, which governs their specifications. And if the tech specs are clear and standards-based, then end-users, too, will benefit. They’ll know what their circuit breaker is supposed to do and what it does do. Clearly, then, it is critical to select the right circuit breaker. The right choice is a reliable one that should be fit not just for general purpose, but should also meet the specifications for the application in hand. This information is indicated by abbreviations and diagrams. IEC 60947 2 spells it out in words. Dear Ankim, Acti9 range is IEC standard based products range. The idea of the article is to remind key points to be followed by specifies and to be known by end users. Thank you to follow next two parts of the article (coming soon) with more details on the CB selection criteria. What is the max loop impedance values for the C100E range of MCCB’s. Cannot find this information anywhere and need it for a fixed wire report. Hi Vlad, nice work! Keep going to remind some basics in order to get more share around the World. yes the selectivity category is the same mean utilization category. THIS IS GOOD REFERENCE FOR DESIGN ENGINEERS AND IT’S USE IN THE SIZING OF MCCB AND MCB AND CLASSIFICATION BETWEEN THEM TO AVOID ERRORS. 1) What’s the HIC (kA) value in the Compact breaker (photo 2)? The above kA ratings are IEC, are the bottom ANSI/IEEE/NEMA? 2) What if the breaker doesn’t have the making capacity on the label? I’ve noticed that some breakers are not labeled with this max peak current… Can you calculate that value by multiplying Isc times 2.3 (IEC)?